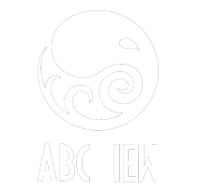 #  Industrial Light & Magic, a division of Lucasfilm Entertainment Company Ltd.
Alembic scenes in AbcView GLViewer widgets. using the OpenGL mode defined by "mode". Alembic::IArchive wrapper class that sets some default values. a given time in seconds. AbcOpenGL::SceneWrapper wrapper class that sets some default values. Defers actually loading the scene until necessary. """draws scene level bounding box"""
AbcOpenGL::GLCamera wrapper class that sets some default values. Adds a new view for this camera. Removes a view (glcamera) from this camera. Adds OpenGL methods to io.Camera objects. the size of the camera corresponds to the viewer size. GL wrapper for Scene objects. Draw scene-level bounding box for a given time in secs. Returns True if this scene is drawable. © Copyright 2012-2016, Sony Pictures Imageworks Inc. and Industrial Light & Magic, a division of Lucasfilm Entertainment Company Ltd..